MUMIE is an open-source e-learning platform for learning and teaching mathematics and computer science. It grew out of the needs of practical teaching at the interface between high-school and university. MUMIE is highly flexible. Its courses and course material is easily adjusted to any kind of pedagogical scenario. It has built in learning and training environments with wiki-like dedicated social networks for virtual tutorials and self-organized learning. Powerful authoring tools support the production of new content. This opens the door to new, challenging and more efficient pedagogical scenarios. 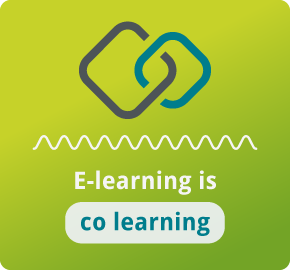 MUMIE platform and content is the result of a cooperative effort by leading universities in Europe supported by the company integral-learning. MUMIE is used by highly appreciated universities, such as the TECHNISCHE UNIVERSITÄT BERLIN or the DELFT UNIVERSITY OF TECHNOLOGY. It incorporates many years of experience in classroom and net-based teaching at the introductory level. Its flexibility allows any kind of pedagogical scenario and an easy adjustment to local needs. Learn more about the advantages of this integrated e-learning system and why students learn better digitally. We know learning is hard work and traditional learning quite often boring. This need not be! To the contrary, learning in a modern IT-supported setting - although never easy - can be fascinating and a real thrill. This is why we invented a digital learning software. It makes it easier for you and much more interesting getting the important stuff done. Feel invited to our big students community to share your thoughts and problems with others! Get introduced to the most common questions of other users. Get access to the full user Guide and to technical Specifications of the project.